PlayCoin Casino is an American-friendly bitcoin casino. They got their start this year (2014) and have managed to do alright so far. When I first hit their site I saw that they have slot themes like Rockstar and Mr Vegas, which means they use BetSoft software to power their casino (+1 brownie point). Then I dug around a bit and noticed they use PlayFors software too. That means they have access to tons of games – including live dealer blackjack and baccarat. Unfortunately, PlayCoin casino only offers 36 games at the moment. I’m not sure why they wouldn’t have more since they have access to tens, if not hundreds of games. Maybe they’re moving slowly and adding games based on user feedback. I don’t know. But it’s a minor thing in the grand scheme of things, because when you compare them to casinos like SatoshiBet or Coin Royale Casino, you’ll see that PlayCoin has 4-8x as many games to choose from. And I’m sure they can (and will) add more. 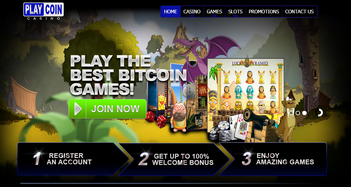 Plus, most bitcoin casinos I’ve reviewed so far don’t offer promotions, let alone bonuses as big as PlayCoin’s. First, let’s look at those before we have a look at all the games you can play. However, as with all things in life, looks can be deceiving and while PlayCoin looks legitimate, they have no proven track record and not alot of positive feedback, so for these reasons we recommend avoiding them until they become more established. I’ve reviewed a lot of bitcoin casinos the last couple of days. One thing I’ve noticed is that about half offer promotions, and the other half offers nothing at all. PlayCoin falls in the former category. More than that, though, they offer some of the largest match bonuses I’ve seen. Take a look for yourself. 100% Match Up To 5 Bitcoin – This is huge – definitely one of the largest offers I’ve seen from a bitcoin casino. This is the equivalent to $2,000. When you make your deposit the bonus will be applied to your account instantly. You’ll have to wager the deposit plus bonus 20x for slots and scratch cards. For everything else you’ll wager as much as 100x. 50% Deposit Bonus On Any Deposit – This is also good up to 5 Bitcoin. The play through for this offer is 25x for slots and up to 100x for everything else. I agree that a 100x play through requirement is ridiculous. On the bright side, PlayCoin states that if you deposit the full amount of bitcoin (in this case 5 bitcoin) you won’t need to fulfill any requirements prior to cashing out. This is great, and not something I’ve seen from any casino. We do reward our VIP players individually. Every player is personally contacted for exclusive promotions and cashbacks. If you don’t hear from them soon after signing up I recommend shipping them an email. At first I had mixed feelings about their game selection. 36 games isn’t a lot, especially when you figure that most casinos would make 90% of them slots. But that’s not the case here. PlayCoin offers a variety of games and variations. Here’s the breakdown. Video Poker – This includes Jacks or Better, Deuces Wild, Joker Poker, Five Draw or 10s or Better. Table Games – Choose from Baccarat, Craps, Pai Gow Poker or Caribbean Poker. Blackjack – Play Super 7 Blackjack, Single Deck Blackjack or 21 Burn Blackjack. 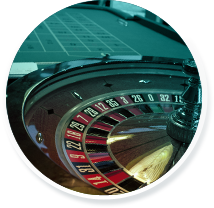 Roulette – Take your pick from American or European Roulette. With regards to the games we are planned to be adding more games including live games (live dealers), slots and more table game variations in the very near future. Although I’m surprised they don’t have more games already (they use more than one software company, after all), this is a robust enough library to start with. Especially when you compare them to SatoshiBet (9 games) or Coin Royale (5 games). What Do We Think, Should YOU Join PlayCoin? The biggest downside here is the lack of games and mobile options. As well as that they are a new company so players should approach with caution until they have established themselves a bit more. 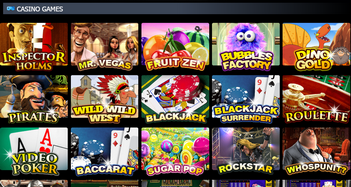 PlayCoin does have a good variety of games, several promotions and relatively decent bonus terms for slots players. They offer individual VIP packages too. However, given they are a new company and offer way bigger bonuses than the competition, I would recommend staying away from Playcoin, at least for now. When things are too good to be true they generally are, so until a time comes when PlayCoin have proven themselves, I would stick to the bigger sites listed on the Bitcoin Casinos homepage. For that reason I’d give them a D grade. So yeah, I think you should check them out.